In October 2018, our AEP (Automatic Exploit Prevention) systems detected an attempt to exploit a vulnerability in the Microsoft Windows operating system. 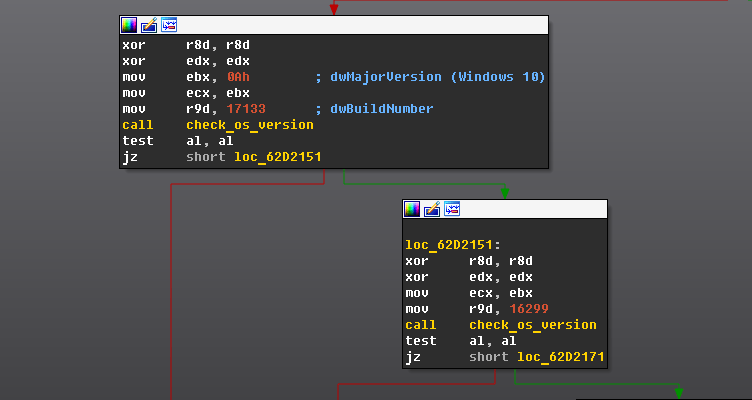 Further analysis led us to uncover a zero-day vulnerability in ntoskrnl.exe. We reported it to Microsoft on October 29, 2018. The company confirmed the vulnerability and assigned it CVE-2018-8611. Microsoft just released a patch, part of its December update, crediting Kaspersky Lab researchers Boris Larin (Oct0xor) and Igor Soumenkov (2igosha) with the discovery. This is the third consecutive exploited Local Privilege Escalation vulnerability in Windows we discovered this autumn using our technologies. Unlike the previously reported vulnerabilities in win32k.sys (CVE-2018-8589 and CVE-2018-8453), CVE-2018-8611 is an especially dangerous threat – a vulnerability in the Kernel Transaction Manager driver. It can also be used to escape the sandbox in modern web browsers, including Chrome and Edge, since syscall filtering mitigations do not apply to ntoskrnl.exe system calls. Just like with CVE-2018-8589, we believe this exploit is used by several threat actors including, but possibly not limited to, FruityArmor and SandCat. While FruityArmor is known to have used zero-days before, SandCat is a new APT we discovered only recently. In addition to this zero-day and CHAINSHOT, SandCat also uses the FinFisher / FinSpy framework. CVE-2018-8611 is a race condition that is present in the Kernel Transaction Manager due to improper processing of transacted file operations in kernel mode. This vulnerability successfully bypasses modern process mitigation policies, such as Win32k System call Filtering that is used, among others, in the Microsoft Edge Sandbox and the Win32k Lockdown Policy employed in the Google Chrome Sandbox. Combined with a compromised renderer process, for example, this vulnerability can lead to a full Remote Command Execution exploit chain in the latest state-of-the-art web-browsers. We have found multiple builds of exploit for this vulnerability. The latest build includes changes to reflect the latest versions of the Windows OS. Similarly to CHAINSHOT, this exploit heavily relies on the use of C++ exception handling mechanisms with custom error codes. To abuse this vulnerability exploit first creates a named pipe and opens it for read and write. Then it creates a pair of new transaction manager objects, resource manager objects, transaction objects and creates a big number of enlistment objects for what we will call “Transaction #2”. Enlistment is a special object that is used for association between a transaction and a resource manager. When the transaction state changes associated resource manager is notified by the KTM. After that it creates one more enlistment object only now it does so for “Transaction #1” and commits all the changes made during this transaction. After all the initial preparations have been made exploit proceeds to the second part of vulnerability trigger. It creates multiple threads and binds them to a single CPU core. One of created threads calls NtQueryInformationResourceManager in a loop, while second thread tries to execute NtRecoverResourceManager once. But the vulnerability itself is triggered in the third thread. This thread uses a trick of execution NtQueryInformationThread to obtain information on the latest executed syscall for the second thread. Successful execution of NtRecoverResourceManager will mean that race condition has occurred and further execution of WriteFile on previously created named pipe will lead to memory corruption. As always, we provided Microsoft with a proof of concept for this vulnerability, along with source code. And it was later shared through Microsoft Active Protections Program (MAPP).